Today’s the day where we make ordinary Tuesdays into a treat for the eyes, and for this week’s Tasty Tuesday we made a stop where big things come in small packages. 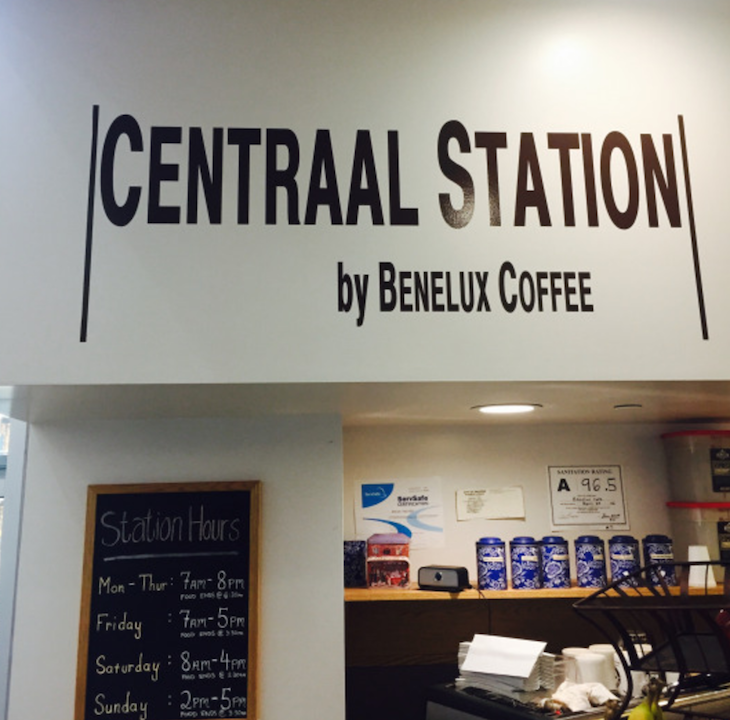 That’s right, we’re talking about Centraal Station by Benelux Coffee, located inside the Alexander Family YMCA on Hillsborough Street. This little coffee shop has much to offer with both hot and cold beverages and food. 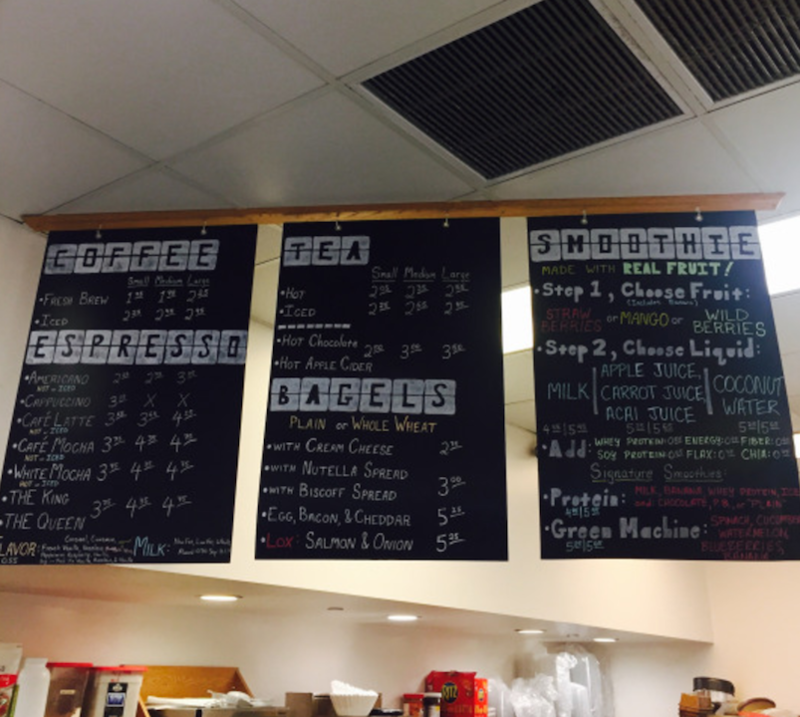 Under beverages, they serve items such as coffee, espressos, teas, juices, power drinks, and custom to order smoothies! As for food, they hand make all of their items from scratch in this pop-up shop every day including their delicious pastries, sandwiches, veggie platters, and protein-filled salads. Not only do they make food for Centraal Station, but they also make the food for the Benelux Coffee Shop on Oberlin Road! As soon as I walked into the YMCA’s main entrance, it was hard to miss this delightful coffee shop because it was radiating delicious smells of freshly made pastries. After looking at the menu for about ten minutes, I finally decided on getting their House Salad which had greens, chicken, carrots, grapes, cranberries, blue cheese, sunflower seeds, and Italian dressing. I couldn’t stop there though so I also ordered one of their made-to-order smoothies. 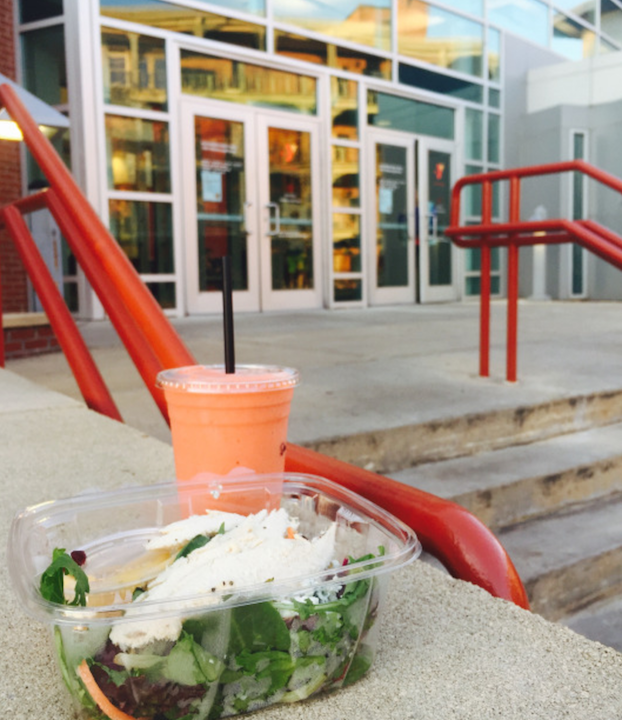 Their smoothies are highly customizable, and you can choose which fruits and what liquid you want to put in your smoothie. I chose strawberries and mangoes as my fruit and apple juice as my liquid. Needless to say, my belly was filled with joy. Both of these items were so delicious and healthy too! Centraal Station is open Monday-Thursday: 7am-8pm, Friday: 7am-5pm, Saturday: 8am-4pm, and Sunday: 2pm-5pm. 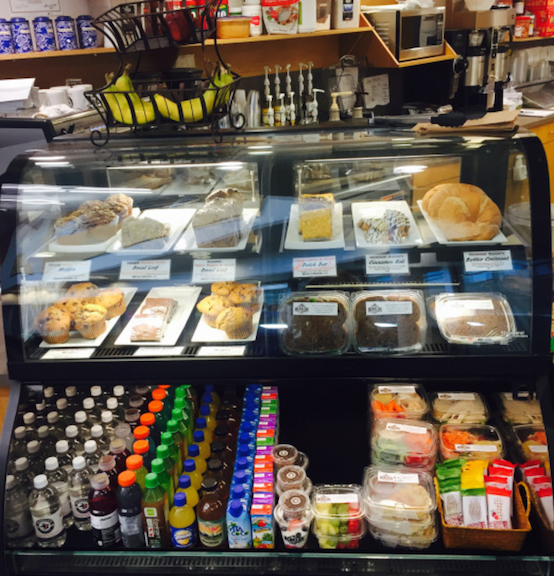 This hidden gem is located at 1603 Hillsborough Street so hurry over there for a treat! And for you Nutella nuts, they have a mouth-watering Nutella Banana Muffin calling your name! I know I’ve had my eye on it ever since I left.